Premier Asset Management are pleased to announce the launch of the Premier Global Optimum Income Fund. Mike Hammond, Sales Director for Premier Asset Management, is joined by the Fund’s co-managers, Geoff Kirk and Jake Robbins. In this video they discuss the Fund’s 6% p.a. target yield, the investible universe comprising 5,000 of the world’s largest and most liquid companies as well as the risks and benefits associated with using a covered call options strategy. MIKE HAMMOND: Hello and welcome to the introduction to the Premier Global Optimum Income Fund, which is a new fund that Premier has recently launched. My name is Mike Hammond, Sales Director at Premier, and I’m joined today by the two Fund Managers, Geoff Kirk and Jake Robbins. Hello Geoff, hello Jake. MIKE HAMMOND: Geoff, can we start with you? What are the client outcomes that you’re specifically trying to achieve with this fund? GEOFF KIRK: Sure, the fund aims to deliver a 6% annual yield, as well as the potential for capital growth. The 6% comes from two separate sources of income. 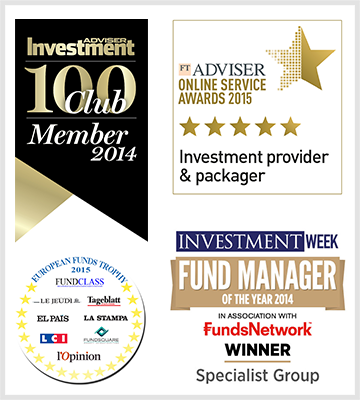 Firstly we receive the dividends from an actively managed global portfolio of equities. We then top this up to the 6% yield with the option premium received from selling call options over selected shares in the equity portfolio. We also hope to deliver capital growth. The shares that we hold in the equity portfolio are selected for their potential for long-term investment growth. MIKE HAMMOND: So Jake, Geoff’s just said it invests in the global equity portfolio, which is very much your domain. So what is the investment process that you adopt and what type of assets are you investing in? JAKE ROBBINS: The attractions for us for investing globally is just the sheer size and breadth and diversification of our investible universe. So we start with the 5,000 largest most liquid companies, globally, and from that we select 50 or so that display both a higher than average quality, more attractively valued than the wider market and with superior growth prospects. And the reason that we can do that is because we can narrow down those 5,000 stocks through a screening process that identifies all of these individual characteristics that we know tend to drive long term outperformance. MIKE HAMMOND: So, given that it is a global equity portfolio, what sort of income level does the portfolio actually generate? JAKE ROBBINS: So over time it’s been remarkably consistent at or around 2% per annum. And that’s been consistent. Because despite delivering very strong capital growth over that period, the underlying equities that we own have very sound balance sheets, have strong growth prospects, and generate copious free cashflow, which has enabled them to raise their dividends over time in which with the capital growth, which has maintained that 2% or so dividend yield. MIKE HAMMOND: So, Geoff, the underlying equity portfolio generates a yield of roughly 2%. You’ve got an objective of generating a 6% yield, so how do you go about doing that? GEOFF KIRK: The fund employs a simple cover call overwriting strategy to generate an additional income stream. This involves selling call options over selected shares in the equity portfolio. These are contracts that give the buyer of the option the right to buy the stock from the fund at a pre-agreed price, called the strike price, on a pre-agreed date in the future known as the expiry date. Now if on that expiry date the share price is above the strike price, a situation where the buyer of the option would exercise that option, the fund would miss out on the additional growth above the strike price, but still retain the growth up to the strike price and the option premium and the dividend. If the share price is below the strike price on the expiry date, and there’s nothing for us to pay out under the option, and again we keep the option premium and the dividend that the stock pays. So we’ve sold some but not all of the potential future upside on those stocks. In exchange, we receive an upfront option premium that goes into the fund’s income account and can be paid out in the fund’s dividend. Importantly, we don’t sell all of the potential future growth. The strike price on the option will always be above the share price at the time of trading, meaning that the fund always benefits from the first part of any share price growth. Our objective when selling the options is to sell just enough upside to hit the yield target, but no more. We want to leave as much room for capital growth as possible. MIKE HAMMOND: So how much of the portfolio are you actually overwriting then, and how much of the upside does the actual fund retain? GEOFF KIRK: It’s likely that greater than 75% of the portfolio will be overwritten at any one time. And then this portion we expect for the one month options that we sell, the strike prices will be around 9% above the share price at the time of trading. But this vary with the level of implied volatility in each stock at the time of trading. That leaves up to 25% of the portfolio completely uncapped. Meaning the fund is able to capture all of any subsequent share price growth on that portion. MIKE HAMMOND: Following on from that, what do you see as the key risks involved and associated with buying cover call strategies? GEOFF KIRK: So a cover call strategy doesn’t really introduce any additional risks to traditional equity investing. Indeed it can be thought of as a conservative strategy, as losses to the downside will be mitigated by the option premium that we’ve received. It can’t create an absolute loss. You can’t lose any more money with a cover call than you can just through owning the underlying stock on its own. However, it does introduce the relative risk of underperforming the equity only position, i.e. if the share price goes up through the strike price and the premium, the investor would have been better off not selling the option. We don’t take on any leverage at all in the strategy. We only sell potential upside where it’s fully covered by ownership of the underlying stock. This ensures that any liability that comes due under the option is fully covered by gains we have already made through ownership of the underlying stock. We use a panel of investment banks as our option counterparties, but we don’t take on any counterparty credit risk. The banks will pay us in cash two days after trading, and we don’t post them any collateral. MIKE HAMMOND: So, Jake, Geoff has clearly demonstrated how we’re going to generate the 6% yield. So, coming back to the equity portfolio, what type of assets are currently coming out of your screening process? JAKE ROBBINS: The whole point of our screening process is to identify those businesses with higher quality than average, more attractive valuation than average, and superior growth prospects than the wider market. Now the reason that we can do that is because the investible universe is vast. There are 5,000 companies that we can potentially invest in. For each of those companies we find a ranking according to various measures of quality. So we prefer those businesses with high return on invested capital. Crucially those returns are rising over time. So these are very strong high quality businesses that are improving rather than having peaked out and in decline. We look for strength of balance sheet. We look for free cashflow generation. That for us makes a strong high quality business. From a growth perspective, we again rank them one to 5,000 on various measures of sales growth, margin improvement, earnings growth and equally earnings momentum. So consensus expectations are rising over time. And for valuations again we rank them all from one to 5,000 for various measures of valuation metrics such as dividend yield, P/E, EBITDA etc. Now we know over the long term that any one of those characteristics, whether it be quality, value or growth, tends to drive long-term outperformance. A combination of all three, however, gives you much more consistent superior outperformance over time. And that’s why we tend to target all three rather than just be biased towards one style. And again the reason that we can do that is because the investible universe is so large. So the inefficiencies across the entire globe of these 5,000 stocks enables us to identify those businesses that the market is currently mispricing, and from that we get to build this portfolio that has higher quality, higher growth and more attractive valuation, which over the medium to long term typically will outperform the benchmark. MIKE HAMMOND: So, given your investment process, what geographical regions and what sectors are being favoured at the point of launch for the fund? JAKE ROBBINS: So the fund is always a bottom-up stock selection process, which means we don’t take a macro overlay or view on where’s best to invest at any given time. However at launch currently about 55% of the portfolio is invested in North America, about 20% or so in Europe, and the rest divided between Japan and parts of South East Asia. The US exposure is well diversified across many sectors. So for instance we have strong exposure to some of the technology, the higher growth sectors in the US. And interestingly from a dividend income point of view, these sectors typically did not pay dividends five or 10 years ago. However, due to the very impressive free cashflow generations that these companies generate and a slight shift in management mindset, actually North America and technology sector particularly has become a much more attractive source of income than it was maybe five/ten years ago. And that’s particularly attractive for a growth fund that’s generating income, because these businesses are driving sales and margin improvement over time, which means that these dividend yields are rising rapidly over time as well. MIKE HAMMOND: Thanks Jake. Geoff, just turning to the portfolio as a whole, how would you expect the portfolio to perform given the additional cover call strategy that you’re adopting within the portfolio? GEOFF KIRK: So selling some of the potential future upside on some of the stocks in exchange for an upfront option premium means that in environments where the prices of the shares we own are rising strongly, it’s likely that we will underperform the equity-only portfolio. When the price of the shares we own are rising gently, we’ve got the potential to outperform. And when they’re falling, it’s likely that we will outperform by virtue of the option premium that we’ve taken. But in all of those scenarios because we’ve exchanged the uncertainty of the potential future growth for the certainly of the upfront cash, the volatility of fund returns will always be lower than the volatility of the equity only portfolio. MIKE HAMMOND: Excellent, thank you very much for your time today Geoff, and also thank you for your time today Jake. If any of you want any further information on this new fund, please contact Premier on the various contact points shown on the screen. Thank you.